Before hitting the streets of New York, Rihanna posted a video of herself on Instagram Story (February 1). The singer gave us a close up look at the latest “FENTY” sunglasses. Smaller than the other style, this one features oversized lenses that extend above the frame. We still have no information about a release date or pricing. We can talk about her pants though. These are convertible cargo pants ($735) from Dries Van Noten‘s Spring/Summer 2019 collection [Look 1]. 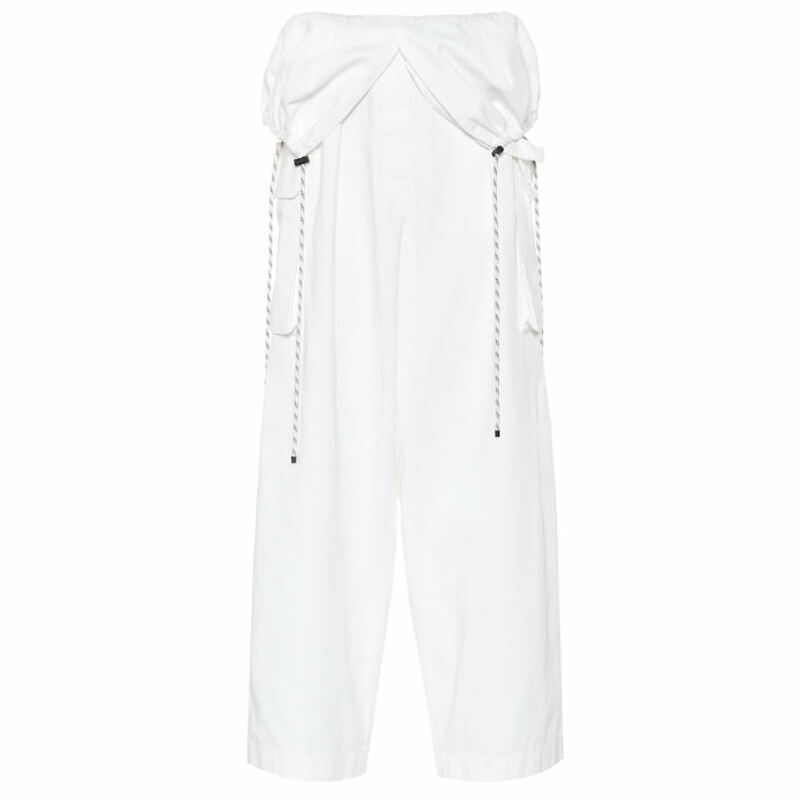 The white twill pants have large pockets and a belted waist and they convert to a jumpsuit. Our friend at Pap Culture spotted Rihanna later that night out and about the city. She was all bundled up in a white fur coat. The fluffy white coat is from Celine‘s pre-fall 2018 collection [Look 18]. 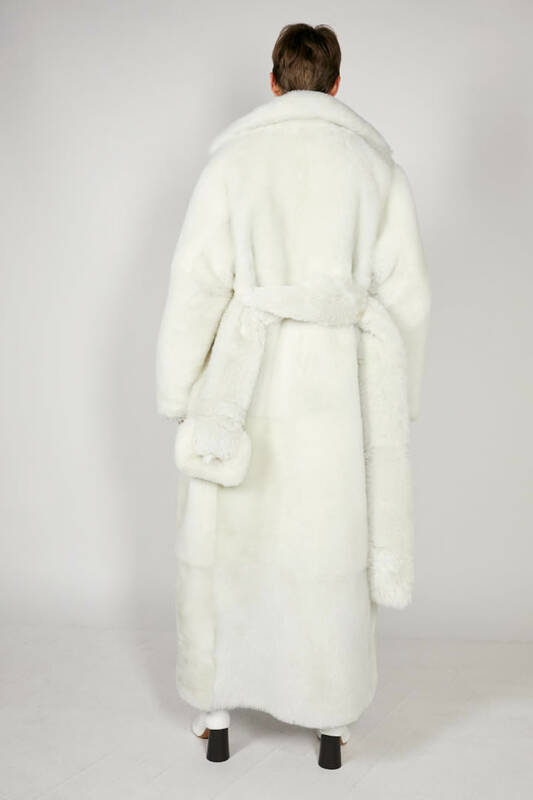 It comes with an equally fluffy belt that features a rather large buckle. She also carried one of her favourite handbags. 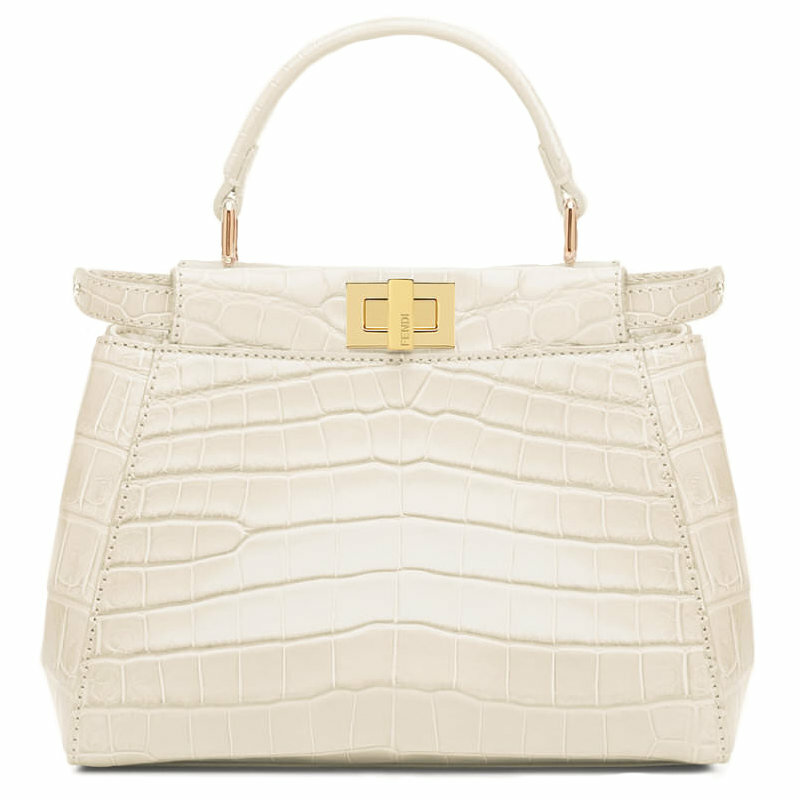 This is Fendi‘s Peekaboo Mini handbag in white croc leather. The small bag features gold hardware and a top handle. Contact the brand about price and availability. Update! Rihanna wore a pair of sneakers from Puma‘s 2015 collaboration with Stampd. 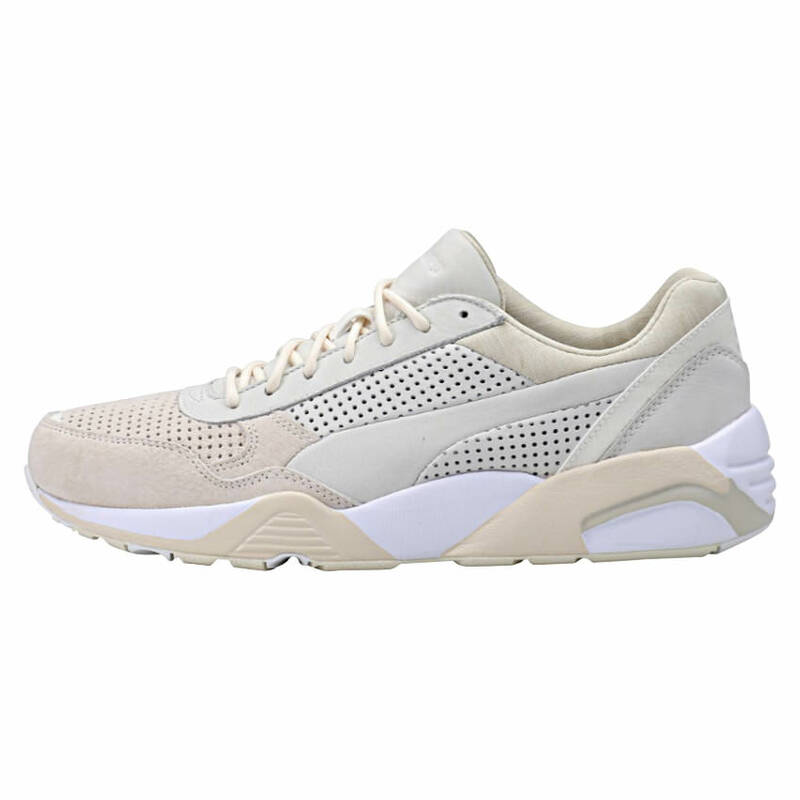 These are the R698 sneakers in the “Desert Storm” colorway. The beige suede shoes feature reflective 3M accents and perforated panels. I’ll update the post if I get anymore info on this look!